Cream butter and sugar. Add egg and mix well. Add vanilla and milk. Mix flour, baking powder, and salt together. Stir into butter/sugar mixture, just until mixed. Gently stir in strawberries and coconut. Spoon batter into greased muffin pan. 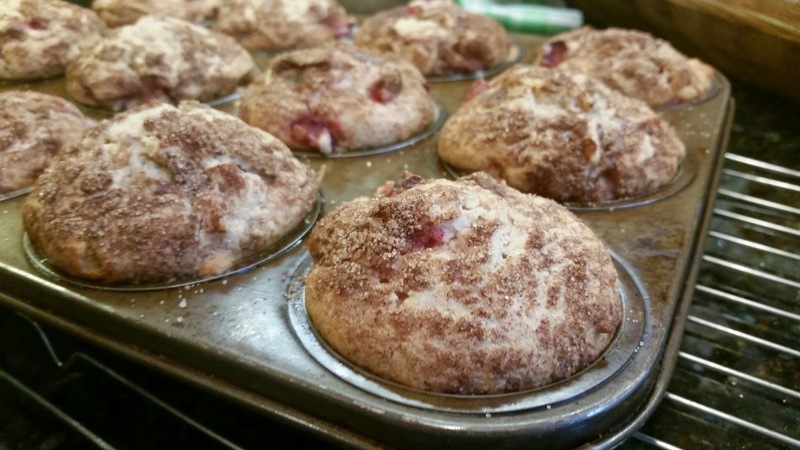 Combine sugar and cinnamon and sprinkle over muffins. Bake at 400º for 30-35 minutes, or until browned. Cool 5 minutes in pan, then remove to wire rack to cool. I cut the sugar down just a bit, because I don't like my muffins too sweet, and strawberries are plenty sweet by themselves. I also added the coconut, which is sweetened. I also increased the bake time. I baked the muffins for 25 minutes, like the original recipe said, but even though they were technically done, they just weren't browned as well as I would have liked. Baking them the extra 5 to 10 minutes gives them a nice crunch around the edges and enhances the flavor nicely. 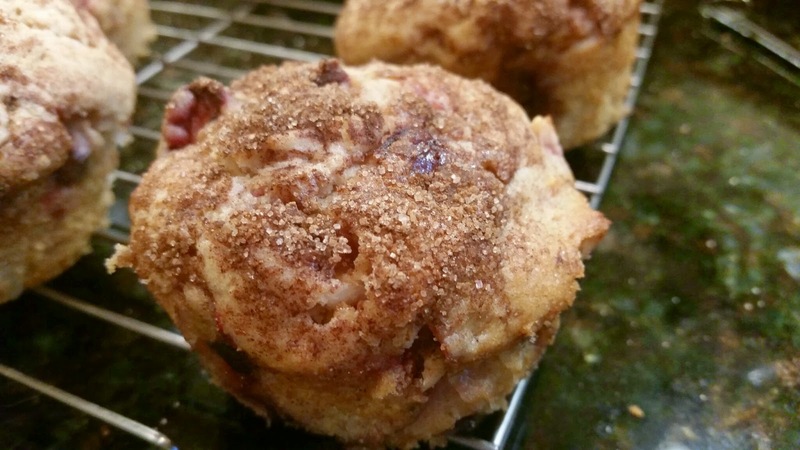 I'm thinking of adding rhubarb next time - or adding strawberries to my Rhubarb Muffins. Some kind of combination of the two. I bet that would be really good.